The aim of the study was to establish the effects of a range of psychosocial factors on weight changes and risk of obesity. The study population consisted of the 4,753 participants in the third (1991–1994) and fourth wave (2001–2003) of the Copenhagen City Heart Study, Denmark. At baseline the participants were asked comprehensive questions on major life events, work stress, vital exhaustion, social network, economic hardship, and intake of sleep medication. Weight and height were measured by health professionals. Weight changes and incident obesity was used as outcome measures. The participants on average gained 2 kg of weight and 8% became obese during follow-up. The experience of major life events in childhood, work life and adult life was associated with weight gain and obesity in women, but not in men. Vital exhaustion was associated with weight gain in a dose–response manner in men (P = 0.002) and younger women (P = 0.02). Persons with high vital exhaustion gained approximately 2 kg more during follow-up compared to those with no vital exhaustion. Women with high vital exhaustion were also more likely to become obese during follow-up (OR = 2.39; 95% CI: 1.14–5.03). There were no clear patterns in the associations between social network, economic hardship and weight gain or obesity. 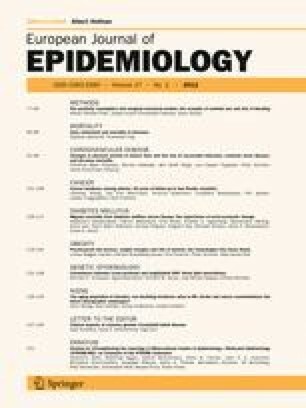 The number of psychosocial risk factors, as an indicator for clustering, was not associated with weight gain or obesity. In conclusion, major life events and vital exhaustion seem to play a role for weight gain and risk of obesity, especially in women. We thank the staff and the participants of the Copenhagen City Heart Study. This work was supported by the Danish Medical Research Council [09-062115 to L.B.I and N.H.R.]. The Copenhagen City Heart Study is supported by funds from the Danish Heart Foundation and the Lundbeck Foundation. World Health Organization. Global Database on Body Mass Index. Available at: http://apps.who.int/bmi. Accessed April 2010.